If you are unable to collect payment for items purchased, we suggest using the direct write-off method. This type of write off usually happens several months after the original transaction occurred. The basic idea is that there needs to be a credit entry made to the accounts receivable (the customer) to remove the amount that will not be collected, and then a debit entry as an expense to report the amount of the loss to your business. 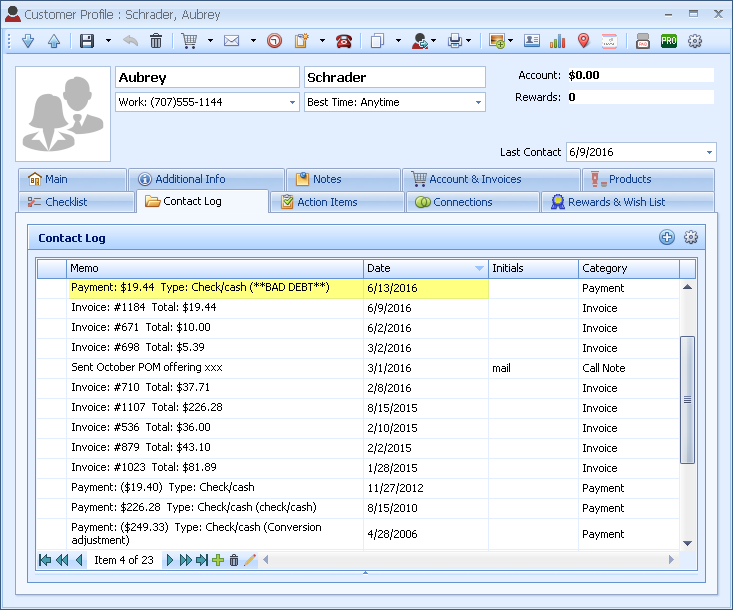 Click the Account & Invoices tab on the contact's profile, and click the . From the Amount field, click to zero out the account. Under the Payment Type drop-down, choose Cash/Check. In the Number field under the Check Payment section, type **BAD DEBT**. Click OK to accept the form. After posting a payment to clear the account balance, a contact log entry will automatically be added. Click on the Notes tab of the profile, and under the Reminder section reference the bad debt with applicable information. Click the Critical, create pop-up box, to ensure you are alerted of the bad debt if there is ever any contact made. Click the button, to save and close the profile. 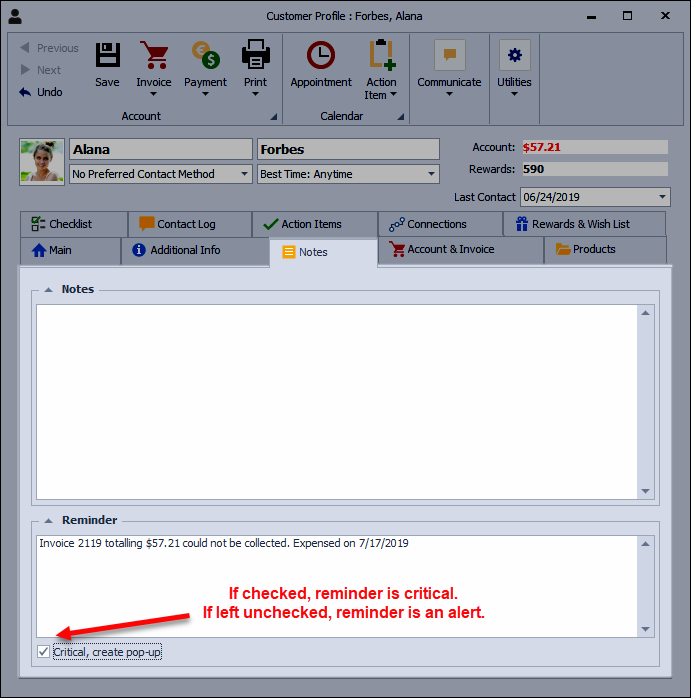 Click on the Main tab of the profile and under the Contact Information section, click Inactive Customer. Please Note: As with any business expense, we recommend consulting with your tax adviser to assist with tax-related decisions. 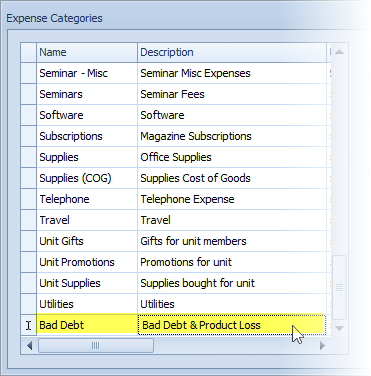 From the Shortcuts form, click Expenses (or from the Business Tools menu, select Expenses). 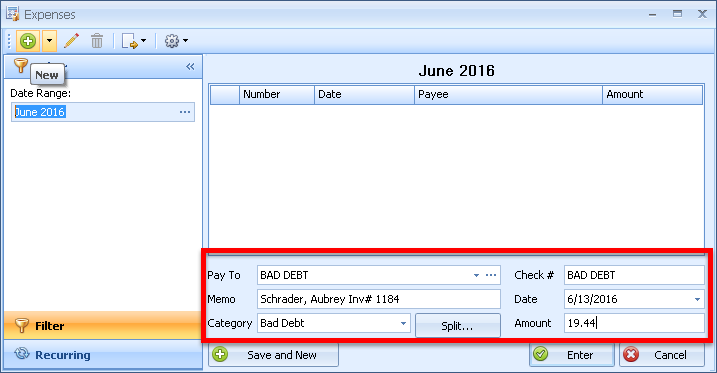 If you do not have a bad debt category, from the Expense tool bar, click and select Expense Categories from the drop-down menu. Create a new category entry called Bad Debt (or the category your tax adviser recommends). Click OK to accept the newly created category. 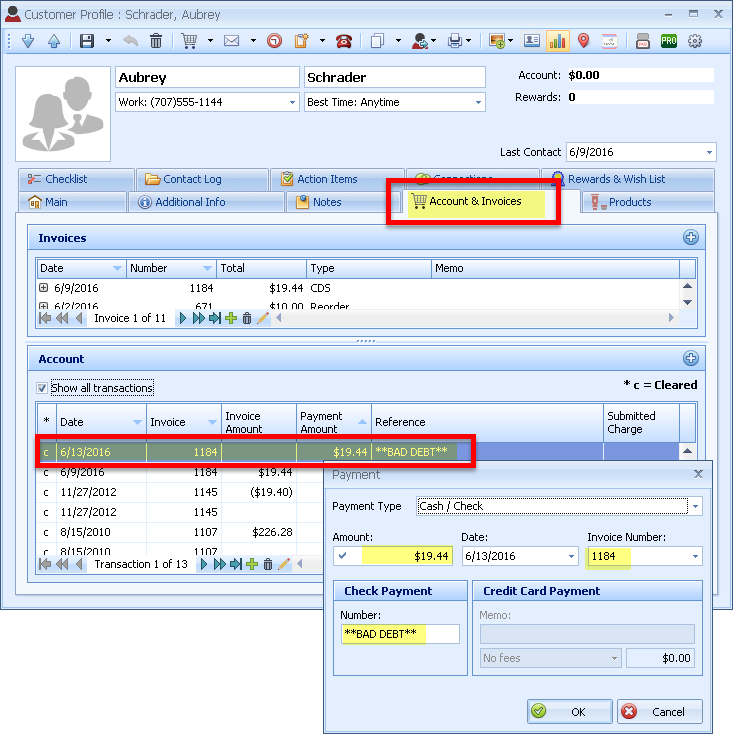 On the Expense toolbar, click to create a new entry. In the Pay To field, type (or select) BAD DEBT. 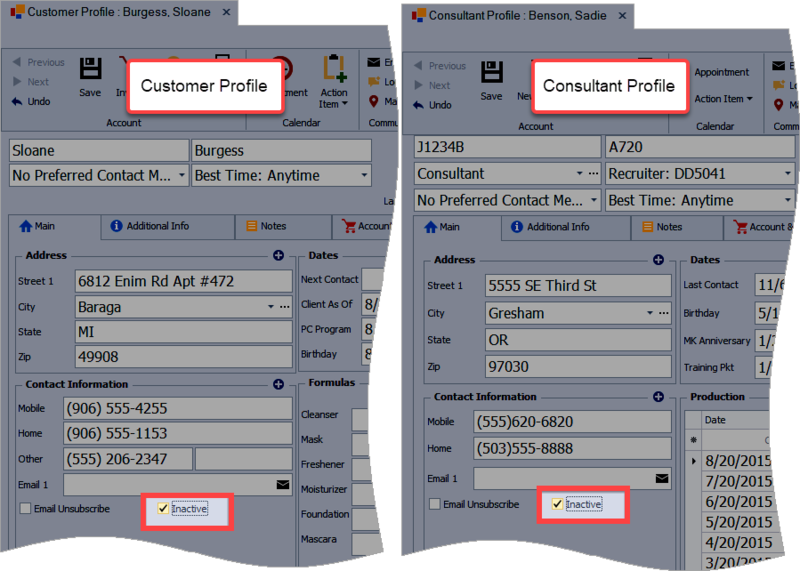 In the Memo field reference the contact's name and associated invoice number(s). From the Category drop-down menu, select the Bad Debt category previously created. In the Check # field, type BAD DEBT. Enter the Date the account was written off. In the Amount field, enter the amount being written off, then click Enter to accept.